The candidate should be a smart young energetic individual with work experience in three/four star hotels at least for three years in a similar capacity. 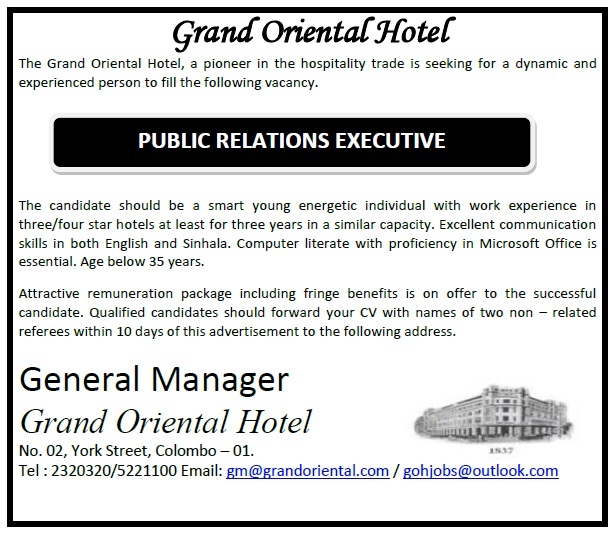 Excellent communication skills in both English and Sinhala. Computer literate with proficiency in Microsoft Office is essential. Age below 35 years.